Spontaneous road trips are good for my soul. Especially when they involve my boys. Our original Saturday plan was the same as every other Saturday. Drive to Tannenbaum where the airstream is located + let Zach work all day. Well, at the last minute we decided to change things up and head to Conway. We ate at one of our favorite places, Taziki’s. Ezra double-fisted his grill cheese + devoured his fruit. My greek salad never disappoints + Zach got his usual, a basil pesto chicken gyro. After we finished lunch we decided to head to TarJay(Target in a french accent), our other love in Conway. After we shopped we ended with our favorite birthday cake pops from Starbucks. Since we gave up coffee last month Zach tried something new + got an iced snicker-doodle hot cocoa. Umm, do yourself a favor + go try it! Make sure you look at Ezra's pitiful picture after we passed the toy aisle. His room, every area in our house, + my car are overflowing with toys, so we skipped the toy aisle. He was not too happy with us. Then we decided to go downtown for their Illuminate festival. Our first stop was at our favorite backdrop. I love taking pictures with my family. I love documenting our time together to look back on. Everyone says it, but kids really do grow up too fast. I love all the in-between memories, like Ezra picking up every leaf in the alley and throwing it on dad. Growing up I always wanted just one girl. I had never been around boys + they just were not my thing. Now having boys I can’t imagine anything else. I love how dirty they get, how much they love to wrestle, + how tender their love is. I also love how kids make you stop + breathe life in. We're always late to everything, which can make my husband super frustrated. But normally it’s because Ezra is making us stop to do something that will make a memory. And I'm always thankful for that. Two is a hard age, but at the same time it is so rewarding. Ignore his cowlick on the side - life can't be perfect so sometimes you have to roll with the bedhead look. But really, how good does my hubby look?! I am a sucker for white tees. We started to head towards the big ferris wheel, but heard a train in the distance. If you know Ezra then you know he has an obsession with trains. Zach swooped Ezra up + ran to go find 'Thomas'. If you aren't a parent yet I'm referring to Thomas the train. Just wait - you will know all his songs by heart soon. Ezra giggled with excitement the whole time running down the alley in pursuit of finding the train. That’s what I love about Zach, he isn't afraid to drop what he is doing in order to make us happy. We may disagree on a lot of things, but our parenting styles mesh so well. We are all about our kids + making memories. There is nothing more that warms my heart then when you see your husband love your kids deeply. Many people thought we were crazy for wanting to start a family so young. We wouldn't trade it for the world though! We finally made our way to the Ferris wheel only to find out Ezra was too short, even with Zach and I riding with him! 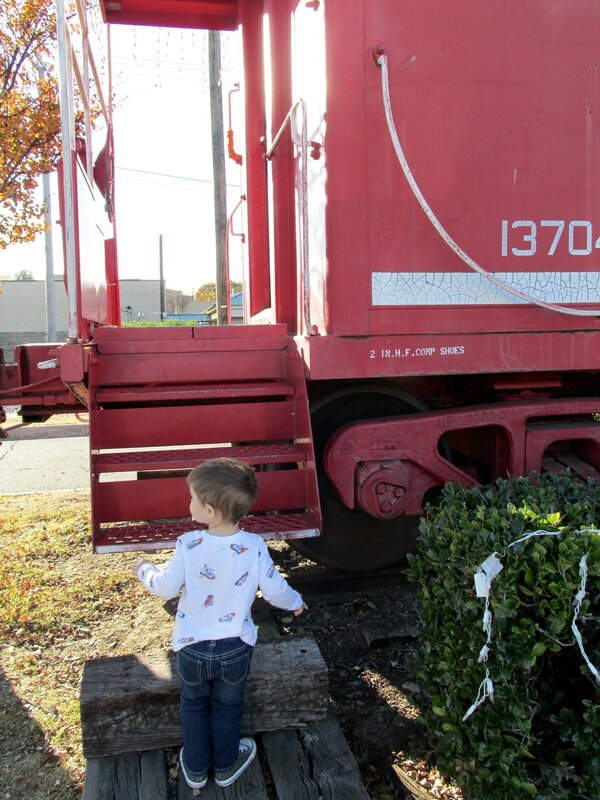 We were so bummed, but the huge Christmas tree + train ride for the kids made up for it. Daddy is always such a good sport. Ezra is very reserved + never wants to ride or do anything alone. So Zach got the privilege of riding on the train. 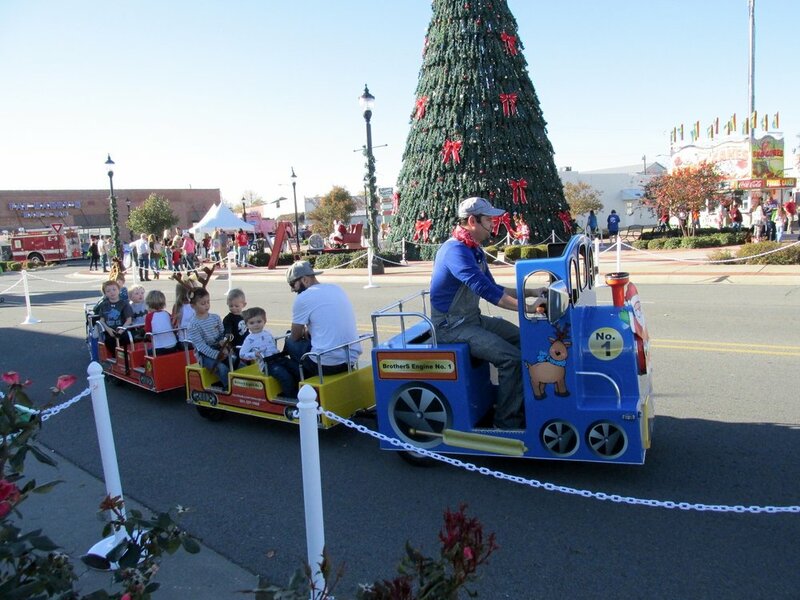 The train was really neat; I will link their Facebook page if you ever need any birthday party services. It would definitely be a hit with any kiddos who love “choo twrain” as Ezra calls them. We also got to see a couple fire trucks. To end our day we stopped at the parked railcar in Simon Park. Ezra loved pretending to drive the “choo twrain”. We were even lucky enough to see another train come back on the tracks. He also learned about making a wish + throwing a penny in the water. He really didn't understand why we couldn't pick it out of the water after we threw it! On the way home I was thinking about how thankful I was for today, that we decided to switch things up this weekend + go for it. Its so easy to get stuck in the cycle of life + do the same exact things over + over. It refreshed my soul having no scheduled plans and just doing life with my guys. The last picture is a picture of a toddler meltdown; life wouldn't be complete without those! We ended our weekend going to church + celebrating Harvey turning five months. Our favorite series of the year was happening, Big Screen series. They take movies and make a sermon around it. Basically how Jesus used parables to teach his followers and fellow bystanders. This weekend they played 'Hidden Figures' (SUCH A GOOD MOVIE) + talked about Shadrach, Meshach, and Abednego in the book of Daniel, who endured what the world threw at them. Just like these three ladies in the movie. They were tested, but remained faithful, respectful, + endured what life threw at them. It really hit home with me, because I could relate with 'enduring'. Some seasons in life are harder than others, but if we endure and remain faithful, God is faithful. He will get us through any hardships. 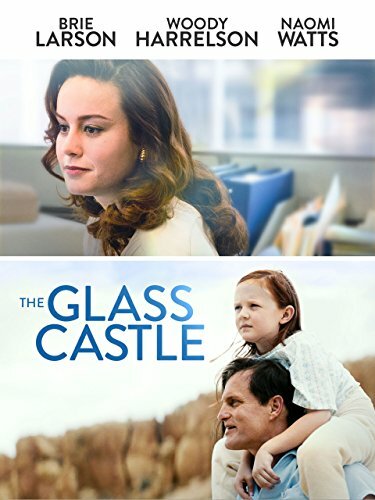 Saturday night we watched the movie 'Glass Castle'. If you have not seen it, I highly recommend finding a redbox near you or I linked it from amazon below! It is from a memoir by Jeannette Walls. I linked my favorite baby carrier, I seriously could not survive without it!